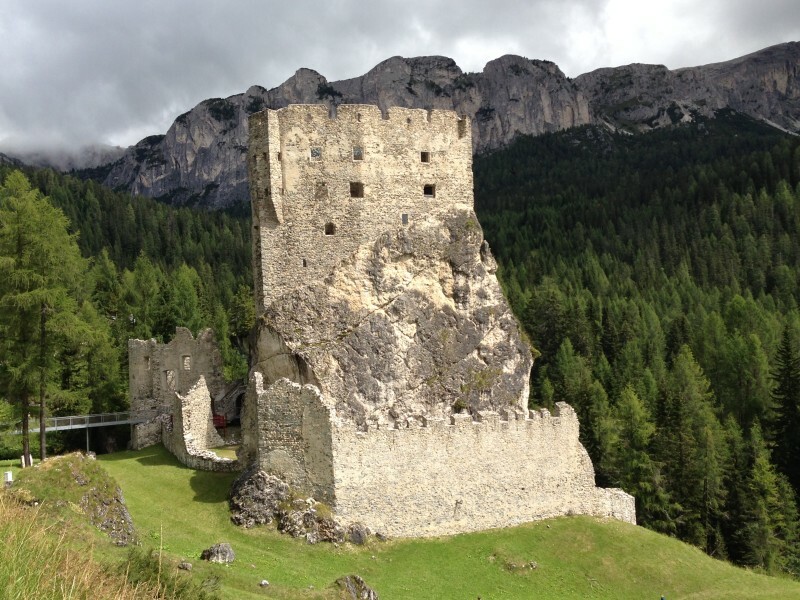 The Dolomites – 10 things to do to make your holiday special! 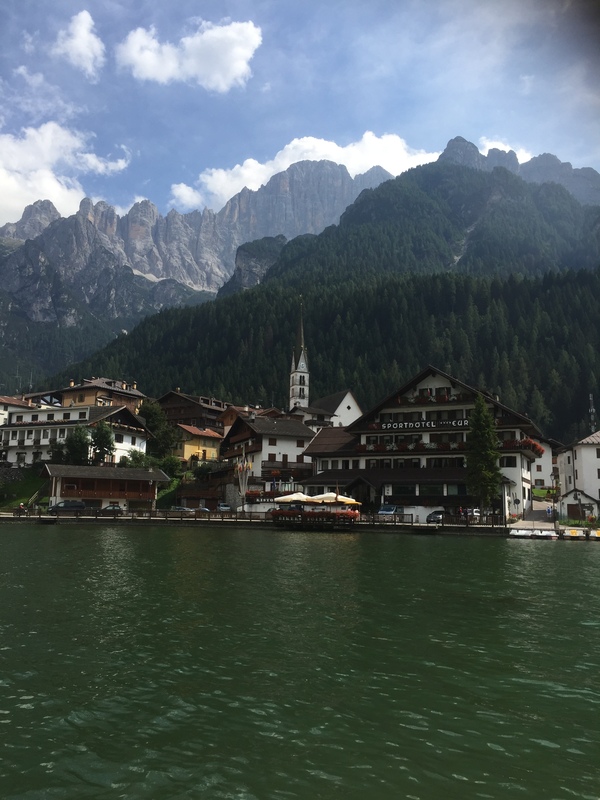 You probably already have some ideas about what to do on your trip to the Dolomites, but the area has so much to offer which you might not know about, so let me give you some ideas! The Dolomites has some of the best road cycling and mountain biking in the world. There are many hard climbs over beautiful passes, many of which are included in the Giro d’Italia, the second most famous bike race in he world after the Tour de France. 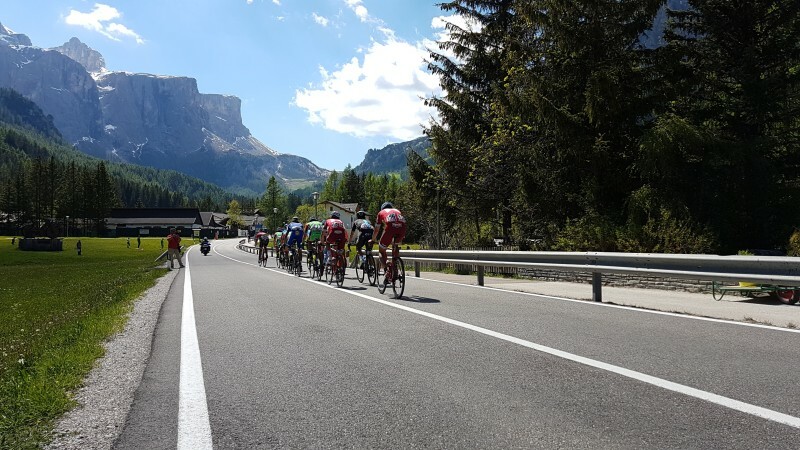 The area around Casa Alfredino is used every year; Passo Giau, Passo Sella, Passo Gardena, Passo Fedaia – they are climbs synonymous with the event. 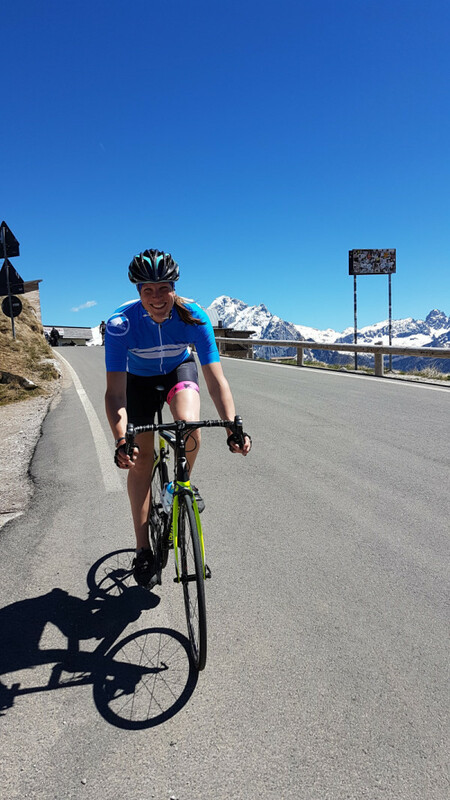 The famous Sellaronda for example can be completed as a road bike trip or on a mountain bike. With 1800m of height gain it’s a serious undertaking and you need good fitness to complete it. 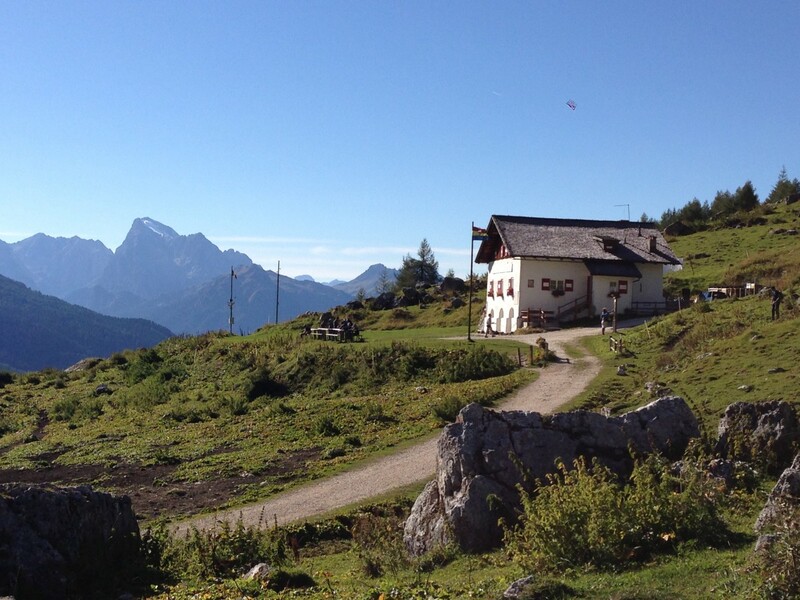 You can rent bikes in La Villa, Corvara, Arabba, or Alleghe. For more detail take a read of our article specifically about the route! If you are more into mountain biking, the tour is no less excellent, with the route well waymarked. You can either cycle up, or during the high season, use the lift system to transport your bike up leaving you to enjoy the long downhills. There are Enduro sections if you choose and an All Mountain set-up is recommended. 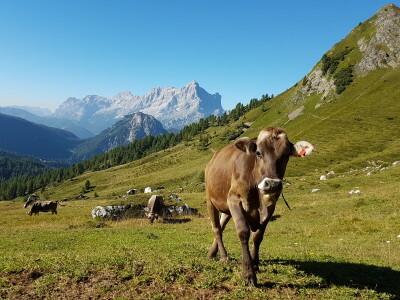 Casa Alfredino is located on the southern fringe of the most well known area of the Dolomites, which can be especially packed during August when literally the whole of Italy is on holiday. If you want to get away from the madding crowds then head to the south of the range. It’s much less developed and quieter and even in high season you can find quiet forests and high mountain walks on which you will find greater tranquility. Here are three of my favourites. Cascata del Inferno: great for an off day, head to Valle San Lucano where you will drive beneath the enormous 1600m North Face of Monte Agner, worth the drive in itself. If you drive all the way to the end of the road, you can park, head up a mettled road and after 200 yards take the small track to the right waymarked to the cascades. The deepening gorge is home to some beautiful waterfalls, each one more impressive than the last. Cavallaza from Passo Rolle: few people know of the Lagorai and its igneous mountains. Starting from Passo Rolle, head over the summit of Tognazza, then onwards to Cavalazza, before dropping to Lahgi di Colabricon. 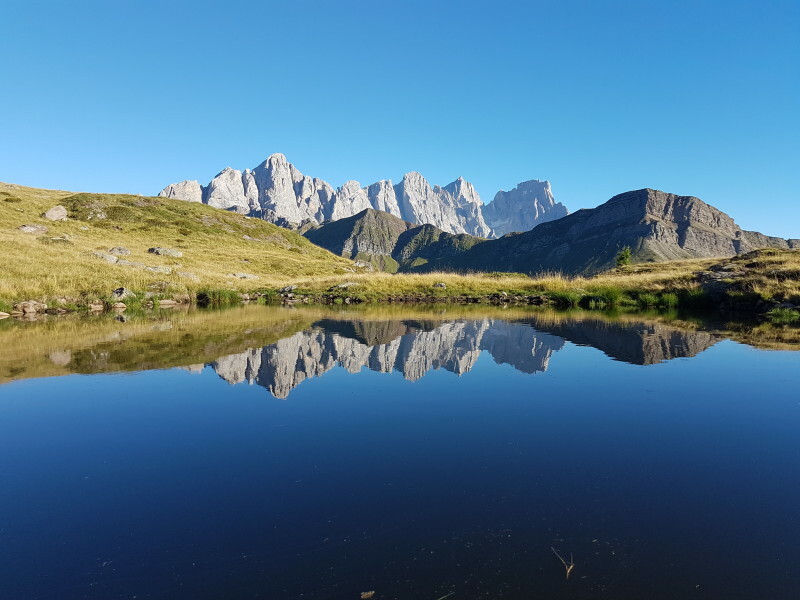 This stunning area is reminiscent of the Scottish or Welsh mountains, with hidden tarns, lush green vegetation and stunning views of the entirely different Pale di San Martino over the valley. There are the remains of some of the Austrian trenches in the mountains too, and the return to Passo Rolle is through dense coniferous forest. Again the drive over Passo Valles to get there is utterly stunning. Rifugio Citta dei Fiumi with Marmolada in the background. Bolzano, the regional capital of Alto Adige/Sud Tirol has a beautiful old town well worth spending a day on – ideal for a rest day or if the rain comes in. It’s a 1hr 40 min drive from the house over Passo Fedaia and Passo Carezza where you will pass the UNESCO world Heritage site, Lago di Carreza beneath the Latemar towers. It has a splendid cathedral with a multi-coloured tiled roof, arched colonnades with lots of boutique shops, a street market, excellent restaurants (I can heartily recommend the Hopfen & Co Brewery), a museum dedicated to Otzi a prehistoric man who was found buried in a glacier not far away, Mountain Spirit and Sportler, two excellent climbing shops, and Salewa Head Quarters with a fantastic indoor climbing wall. The Adige, Friuli and Prosecco regions are world famous for their wines. Indeed the Adige promotes a wine road and they have many excellent varieties, including Blauburgender/Pinot Nero, Grauvernatsch, Lagrein, Pinot Grigio of course and Eisacktaller. To the south and east of the house, you’ll find the Friuli wines like Riballo Giallo, and Proseccos in Valldobiadene and Conegliano amongst many many others, but also Grappa’s of all types. If you like historical sites you will be interested to know that during the middle ages the entire region as far as Milan was part of Bavaria. As a result it has a great number of beautiful castles, like Castello Andraz. Over the years it changed hands, ceeding to the Holy Roman Empire (indeed Merano, just 30 minutes from Bolzano was the regional capital for a very long time indeed and a papal seat – Castle Tyrol is worth a look if you are in the area) and then the Hapsburg Empire and Veneto, before finally becoming wholly Italian after the brutal battles fought here during the First World War. There are war forts and open air museums at Passo Valparola and high on the flanks of Marmolada which you can visit using the cable car. If it’s so miserable you can’t get out into the mountains, then maybe indoor skating might pass some time; or on a sunny rest day you might want to unwind at the mountain beach set beneath the towering Civetta. You can rent pedallo’s, go fishing, walk by the lake and generally unwind. Pedallo fun on Lago di Alleghe with the mighty Civetta NW wall above. For those of you who have no issues with throwing yourself of a perfectly good mountainside, the Civetta Zipline is a huge 1600m 2 stage line in San Tomaso Agordino, just south of Alleghe. Reaching speeds of up to 80kmh, it crosses a huge ravine twice up to 160m above the ground and descends 260m! Meanwhile for kids there is a treetop adventure park; take the first stage of the Alleghe cable car up to Pian di Pezze where you will find quite a few different activities for children and this excellent high rise obstacle course! If you are a climber you’ll most likely know lots about the famous alpine and trad climbing in the area. But most will not know that we have some superb sport climbing in our area: the best are Sass di Roccia at Laste, Val di Gares, Castello Andraz, Sass di Dlacia and Cinque Torri. All you need is a single rope, some quickdraws, a harness and some climbing shoes. Val di Gares and Andraz in particular are in ideal family friendly settings, in the woods with shade and a beautiful setting. If you would like a taster, we can arrange for a qualified guide to lead you for a day! Rifugio Falier 1hr45 walk from the trailhead, or 2hr15 from Malga Ciapela campsite when the road above this is closed during August. Rifugio Cappana Piz Fassa 1hr30 walk from Piz Pordoi, which you can access using a cable car. This is a tiny hut, at the very top of the Sella Massif with only 20 sleeping spaces, so bookings are non refundable. 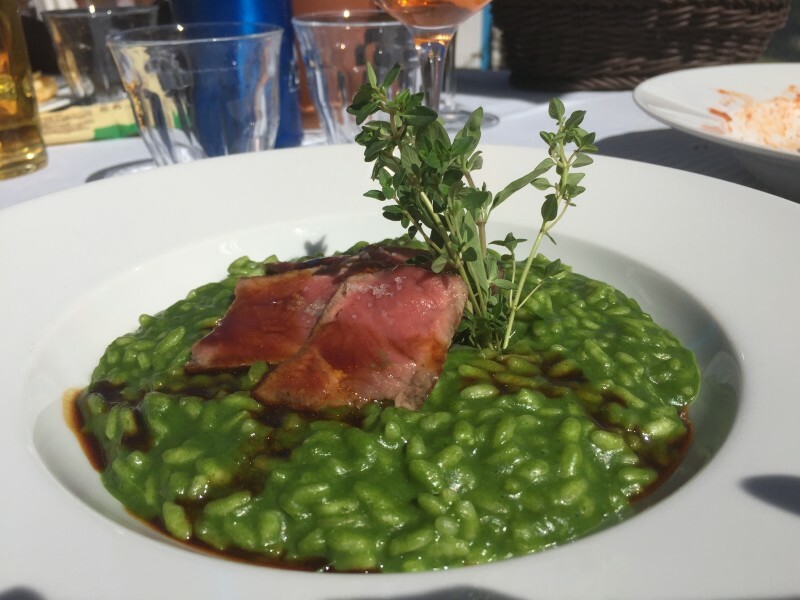 Italian food is renowned the world over and the Dolomites is no exception. With a superb mix of traditional local Tyrolian, Fodom and Ladin dishes and of course pastas and pizzas, you can dine in style. Add in the great wines mentioned above and you have a winning mix. Even food at huts is usually of excellent quality and very reasonably priced, so don’t worry about your lunch time sarnies and get stuck in. Speck, canederli, roe deer and venison stews, goulash, casunsiei and porcini mushrooms are delicacies not to be missed and feature on most menus in our area. A spot of lunch at the excellent Rifugio Castiglioni situated beneath the ramparts of Sassolungo. A fantastic hour long walk to a lunchspot with a kids play area and superb food.